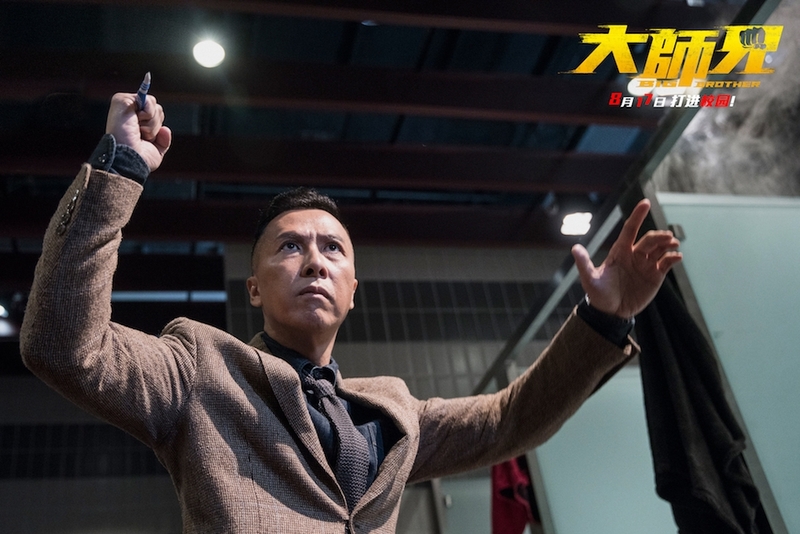 Donnie Yen is the most prolific and popular action star in Hong Kong at the moment and has been busy as ever, having recently complete Ip Man 4. Big Brother has him starring as Henry Chen Xia an ex pupil of a Hong Kong Band Three secondary school, a place for the not so academically gifted and troubled teenagers, who returns after a stint in the armed forces to become a teacher and perhaps guide some of them to a more successful and less criminal future. As he battles his way into their school and home lives, it becomes clear that his unconventional teaching style might be just what they need, but is his past coming back to haunt him? You have to give Donnie Yen a lot of credit, he is known for his no-nonsense action films but here tries something different which allows him to stretch his acting skills and develop his character much more. There is action in the film and when it does materialise it is excellently done, but if you go into the film as a drama, then you will get much more from it. The main students who we get to know are twin brothers (Bruce Tong Kwan-chi and Chris Tong Kwan-yiu) with an abusive father; a car-loving girl (Gladys Li Ching-kwan) unloved by her parents; a poor boy (Luo Mingjie) mixed up with gangsters; and an aspiring Pakistani singer (Gordon Lau Chiu-kin) whose dreams are dashed by social prejudice. While it has its cheesy and melodramatic moments, it does not detract from the story and the film ends up as a pleasing and uplifting experience. When there is action it is superbly done, with a realistic M.M.A. feel to it, similar to his earlier Flashpoint and fight fans will certainly not feel disappointed. The movie has had a DVD and Blu ray release in Hong Kong and now the USA by Well Go Entertainment, sadly no UK release is set at the time of writing. A feel good solid action / drama and definitely worth checking out.